Although I spent the first half of the week still recovering from a nasty cold, by Wednesday I felt well enough to start working out again. I hit the gym hard on Thursday, and not only ran but also did an intense lower body weights workout. Boy, did my legs feel it during my run on Saturday when I ran my planned four miles, but my legs felt like lead during the entire run. Not only did it feel great to get back into the swing of working out, but to cap off the week I headed into the city for an hour long yoga class with fellow DC/MD/VA Sweat Pink Ambassadors. After sitting on the interstate not moving for an entire hour due to both a car accident and a road closure due to Rolling Thunder, I almost didn’t think that I would make it to yoga. Thankfully, I arrived just as class was starting, almost two hours after leaving my house! I’m so glad that I was able to get to yoga and spend the morning with some fabulous ladies! It was such a great class, and I plan to recap the experience here on the blog tomorrow. All in all, it was a great second half to the week, and I can’t wait to make up for some lost workout time in the coming weeks. QOTD: What was the fitness highlight of your week? This entry was posted in RnRVB Half Marathon Training, Training and tagged half marathon, half marathon training, half marathon training plan, Rock 'n' Roll Virginia Beach, running, training, training plan, treadmill, walking, weekly recap, yoga. Bookmark the permalink. Looks like a good week! Seems many of us have had some nasty colds lately! Hope you are feeling better! Thanks Michelle. Definitely feeling a lot better! Glad you’re feeling better and got to exercise the second half of the week! The highlight for me was getting cleared by my doctor to exercise again! I plan to go for a run today to begin training for a 10K July 4th weekend. Yay for being cleared! I know you’re excited to get back out there running again! Sounds like a peaceful place to run. I’m so glad I was finally able to make it! It was great to see everybody! You did have a great week! So fun to see you all yesterday. my workout highlight was making it through the bike -run brick. First tri of the season this weekend! Yay for completing your first tri of 2015! Glad you’re feeling better Kathryn! Great week! 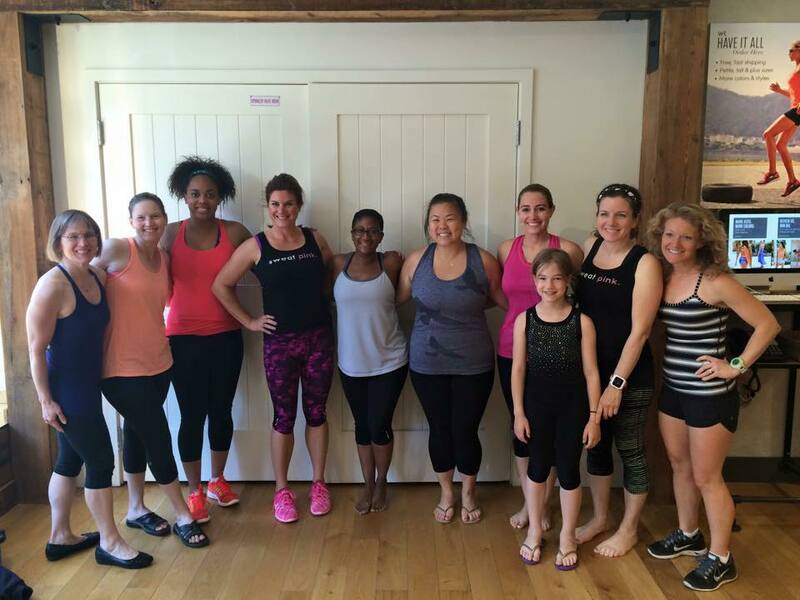 Awesome week and so jealous of the Sweatpink meet up! 😀 Highlight for me was a 10k race (that ended up being about 8.2 miles because of a poorly marked course) which I ran well! Oh wow, an extra two miles?!? I’d say that the course was definitely poorly marked! Boo to colds! Glad you are feeling better. Looks like a great week! 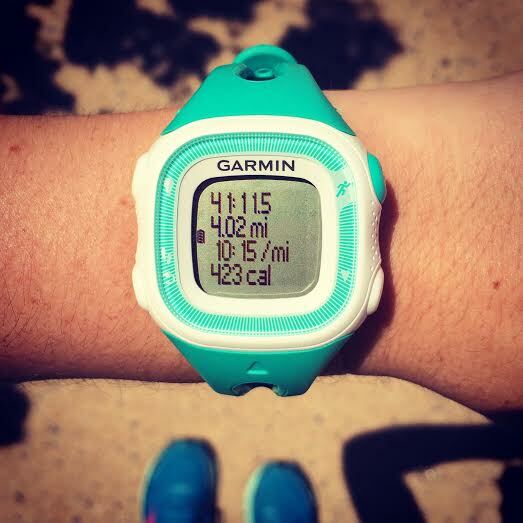 My highlight is running a PR on Sunday – it had been a while! Love that you went to a Sweat Pink Meet Up! We had one in Austin recently and it was a lot of fun. Great your cold went away – it’s such a tough time of year for getting sick and allergies. Meet ups are so much fun! So glad you made it in time! It was great to meet you. Hope the ride home went smoother. Looks like that yoga meet up was fun! I’ve read about on a few other blogs! I hope they have one at the Athleta here! You should definitely reach out to your local store and see if you can put something together with them. so bummed i couldn’t make the SPA event but i’m so glad you didn’t miss it due to traffic. and glad you are feeling better! Great work! My fitness highlight was probably a great group run with friends on Friday night. Its always fun meeting bloggers IRL. I saw the pics of the meet up on IG! Looks like it was a blast! 30 miles! That’s a great mileage week! Wish I was running this race! Oh that’s 30 miles over the past 3 weeks, Sue! The fitness highlight of my week was hiking out in Rainer National park near Seattle at the start of the week. I am so jealous that you can go workout with so many awesome SPA’s! Looks like such fun!